Eircom Electrical and Data and its Branches continually provide top class service to a wide variety of mine sites. 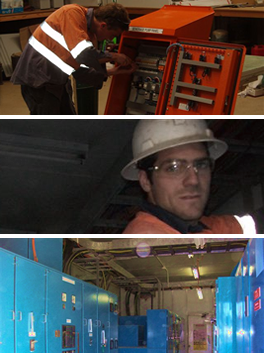 We have staff supplying various electrical & data services to remote mine sites across Western Australia. We’ve got years of experience in mine sites, and in an industry as competitive as ours, only the quality of work and project supervision we provide guarantees a great relationship with our clients. We have provided electrical and data installations for Pannawonica, Kanowna Belle, Paddington Gold, Focus Minerals, Sunrise Dam and Cape Lambert to name a few. On top of our standard electrical services, which you can find here, and our data communication services, which you can find here, we also provide specialised services to Remote Mines.